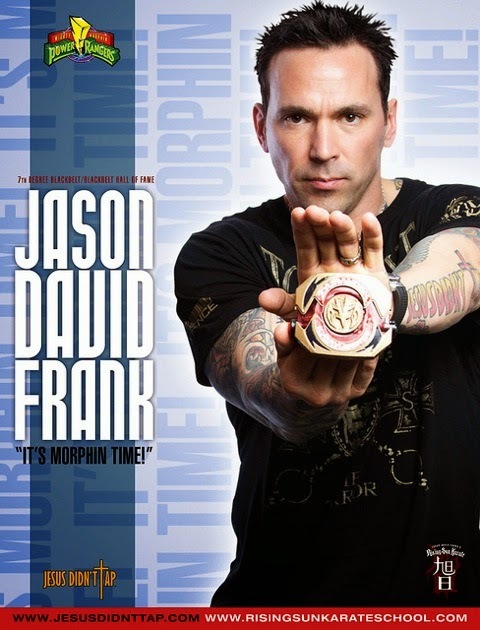 Best known for his role in the long running Power Rangers series, Jason David Frank has become an iconic figure in the pop culture world. For me, Power Rangers wasn't just a show, it was a bonding experience for me and my brothers. We would spend hours in the backyard screaming "It's Morphin' time!" Of course, they would both fight over who would be Frank's Character, Tommy Oliver, and I was always Mighty Morphin' Pink Ranger. Even as an adult, my children are obsessed with the show. Over the years, and dozens of Power Rangers later, Tommy has appeared in more episodes than any other character. Frank's professional career doesn't end with the Power Rangers. He is a highly accomplished martial artist and owner of Rising Sun Karate and MMA. He also has his own line of Christian-based MMA clothing and fighting gear. I recently interviewed Frank, who will be a special guest at this month's Wizard World Nashville Comic Con, and found out more about his upcoming projects. FA: What do you love most about attending conventions? Frank: There is nothing I love more than getting to meet all of my fans. I have a motto that I go by and that's "no fan left behind" and I want to meet as many of my fans as I can. I get the most satisfaction from seeing how my fans turn into kids again when they see me. Some bring their children or little brothers and sisters to meet me too which is just great to me because I get to see how I have a new generation of fans that are inspired by me and the character I portrayed. FA: What can you tell us about the new Power Rangers movie? Frank: There's not much to say at the moment. There are so many things that need to be planned first before the movie is even shot. All I know is that there is a huge fan base that want to see myself and the originals in the movie. I'm just as excited as everyone else is to see what Saban and Lionsgate come up with. FA: Throughout the years, which color ranger has been your favorite to play? Frank: The Green Ranger has a special place in my heart because he was the first ranger I played. He has become an icon for the Power Rangers. He's like the Wolverine of the X-Men; however, the White ranger is coming in close second. FA: I've spoken to a few people that have taken some of your martial arts classes in Tennessee. Is that something you offer often, and how would a fan find out about these classes? Frank: At Wizard World, I always do a martial arts class where I teach everyone some basic moves. Martial arts is so important to my life that I want to reach out and teach all the people I can. I'm actually in the process of launching a new online training program trainmejdf.com where I will be able to teach anyone through the internet. It will be a great supplemental program to help current martial artist or who are just starting to learn reach martial arts excellence. Frank: With going to all these conventions, I am learning more and more about pop culture. Although I'm not really a Fanboy of anything at the moment, when I was young I used to collect comic books, especially Marvel comic books. I sold my collection of comic books to buy my first martial arts school at 18. FA: Lightsaber or Magic Wand? Frank: Definitely a lightsaber. I love training with those things. FA: You will be attending the Nashville Comic Con later this month. Anything you love about the city or must-sees in Nashville? Frank: Nashville is so full of life. Last year, I remember walking down the streets and there were so many people, lights, and music playing. It just seems like a very exciting place to be in. FA: What other projects do you have going on right now? FA: What would you say has influenced your career the most? Frank: Martial arts has been such a great influence in my life and my career. 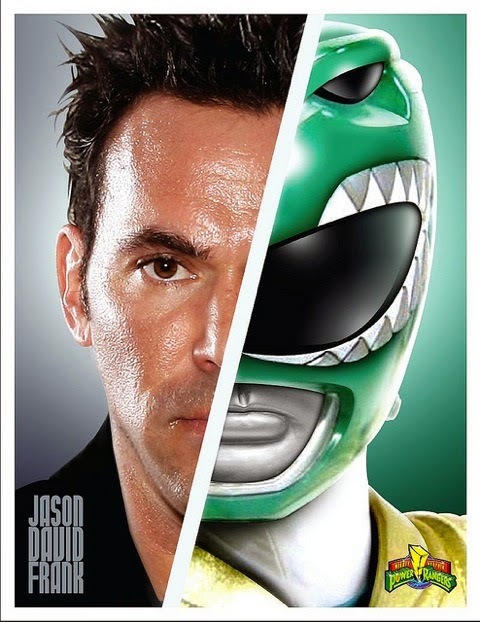 Martial arts brought me to the role of Tommy Oliver and it has shaped how I live my life. Martial arts presses on living in positive way and I put out positive vibes into the universe so that great things happen. I have so many people that look up to me as their hero so I want to make sure I keep the values they can be inspired by. The Wizard World Nashville Comic Con will take place on September 26-28th. Don't forget to buy your tickets HERE before they sell out. If you aren't in the Nashville area, visit the Wizard World website to find a convention near you. What is your most memorable Power Ranger moment? Please leave us a comment and tell us your thoughts.